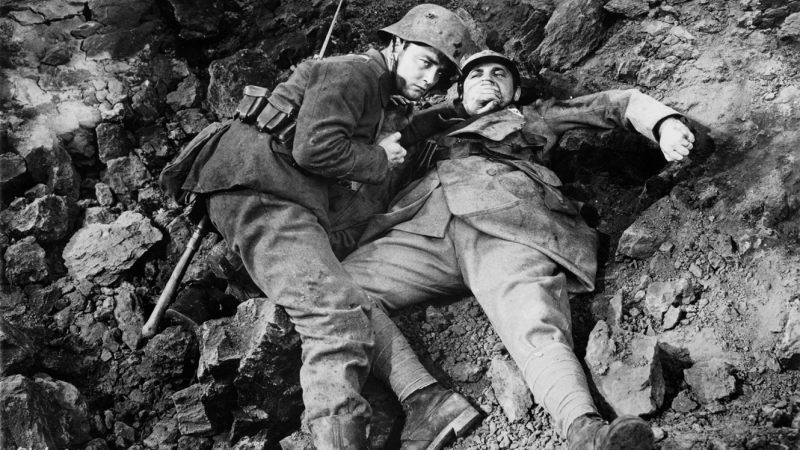 Next up in my 2019 TCM Essentials movie watching project is the World War I film All Quiet on the Western Front (Universal, 1930). Directed by Lewis Milestone and based on the book by Erich Maria Remarque, the film is one of the most famous and moving anti-war films ever made. Told from the perspective of the German experience in the war, the film gives a powerful message about war’s destruction and, more often than not, its futility. In The Essentials book, author Jeremy Arnold states that the film’s battle scenes were “state-of-the-art for 1930.” Director Milestone used “tremendous movement, immediacy, and depth in every frame. Dramatic crane shots look astonishing for having been accomplished during a year in which most cameras were trapped in immobile, soundproof booths. Combined with the fluid camerawork are striking battlefield explosions, achieved by setting off dynamite remotely just before or after the actors ran by, with little room to spare.” Here’s an example. Actor Lew Ayres, who was 20 years old when he made the film, leaves an indelible impression as Paul, a young soldier who enters the German World War I effort with youthful enthusiasm and who, after time in the trenches, learns of the true cost of the experience. Here’s a clip from the film where Paul returns during a leave to the place where he was recruited. I found the film to be compelling, realistic, and tragic. It’s truly remarkable filmmaking about a truly devastating subject matter. Here’s an early poster for the film. 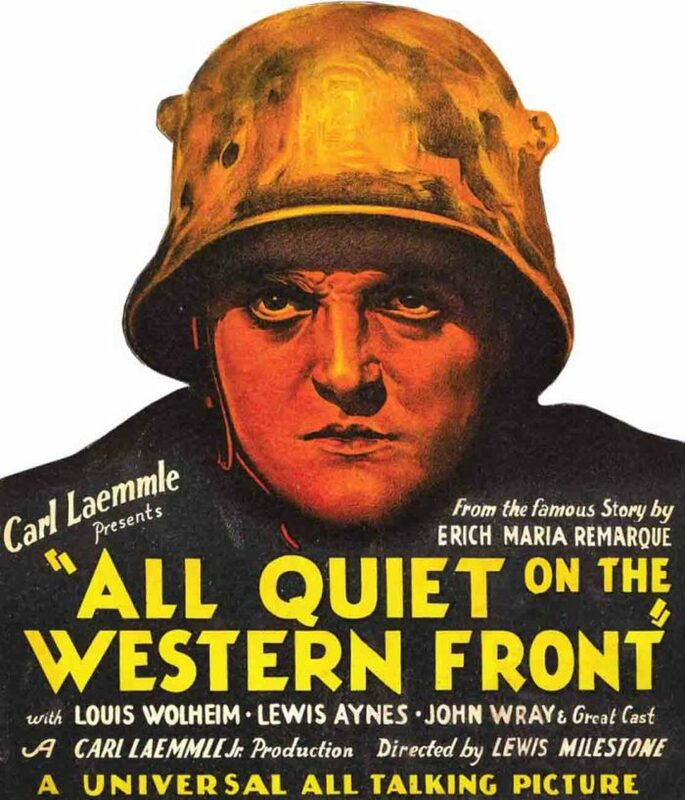 I rented All Quiet on the Western Front from DVD.com. It is also available on Apple iTunes.